On Day 4, Thursday 12 July 2018, there will be five Craven Week matches and seven Academy Week matches. The appointments of match officials to the 12 matches have been made known. At Craven Week, there will be two referees and a TMO from overseas. 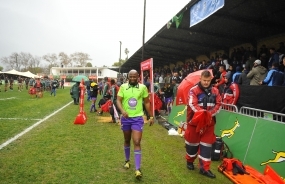 One of the overseas referees, Ian Kenny of Scotland will referee the main Craven Week match on the day, Free State against Kwa-Zulu Natal, both of whom had excellent wins on Tuesday.